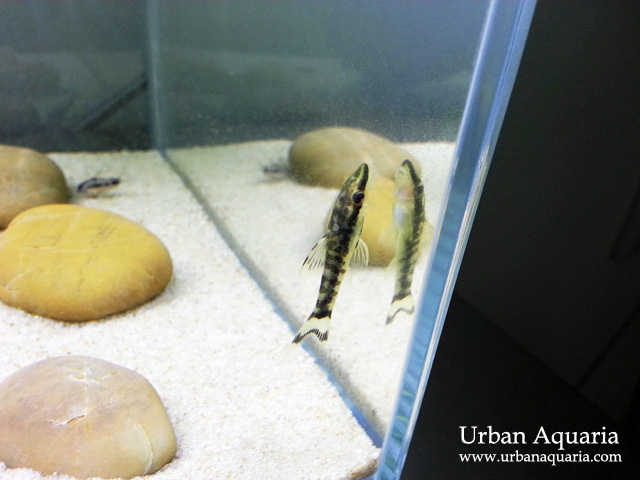 Urban Aquaria: Greenish Zebra Oto? Update on the 23 litre "sand cats" tank! 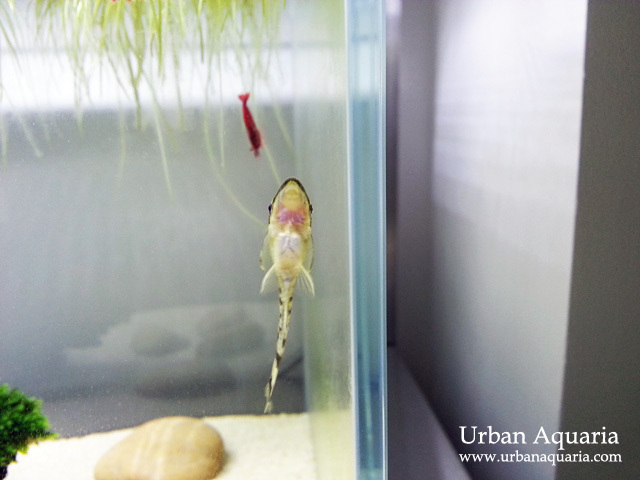 Both the Corydoras Habrosus and Otocinclus Cocama have acclimated well, swimming around actively and looking very healthy so far. I've added some inert river stones to provide abit more variety in the tank environment and to create additional surfaces for algae to grow. I've also increased the lighting period temporarily to 8 hours in order to encourage the controlled growth of a nice film of algae on the glass tank walls and river stones (it worked! 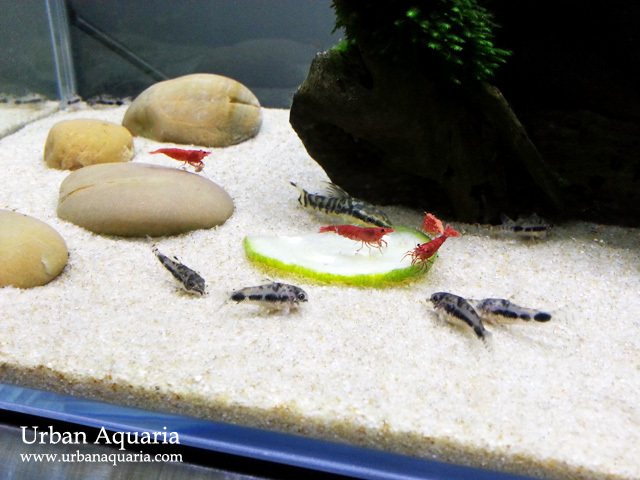 ), which will help feed the zebra oto. In my attempt to provide enough nutritious natural plant-based food to acclimatize the oto, i have been dropping a fresh slice of blanched zuchinni into the tank everyday for the past week (always removing any uneaten portions after 12 hours) and i see the oto constantly munching on it. Now it looks healthy and is very active. Here is a photo of its underside... notice the nice round tummy. It has also started to actively scrub the algae on the glass tank walls and river stones too, which is a very good sign that it is adapting to the tank environment. Not sure if its the diet of zuchinni or the availability of lots of green algae, perhaps all the green colored food that its been eating might have contributed to it turning a tint of green?